$222.82 - Flash Furniture BT-9895H-6-WH-GD-GG High-Back White Leather Executive Swivel Chair with Gold Frame 43.5 - 45.75 x 21.75 x 26 in. Home Furniture>Seating>Executive Chairs Flash Furniture BT-9895H-6-WH-GD-GG High-Back White Leather Executive Swivel Chair with Gold Frame 43.5 - 45.75 x 21.75 x 26 in. 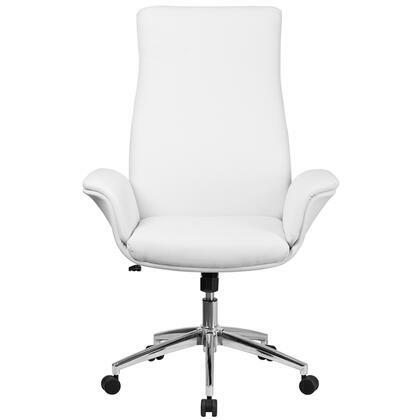 Flash Furniture GO-2286M-WH-RSGLD-GG Mid-Back White Leather Executive Swivel Chair with Rose Gold Frame & Arms 37 - 40.75 x 23 x 24 in.